Until a couple of weeks ago I was not even aware that there was such a thing as Winnie The Pooh day, which is held on the birthday of Pooh’s author A. A. Milne. Even as a life-long Pooh bear fan, having loved the books since I was very small, I wasn’t sure why there should be a day dedicated to Winnie The Pooh, but then I read some of the quotes that are hidden amongst the whimsical and sweet stories that made up so much of my childhood. Pooh, his animal friends in the Hundred Acre Wood and his very good friend Christopher Robin shared wisdom that is both timeless and timely, given the challenges and pressures many of us feel today. And so, in celebration of the bear with the love of honey, who was not very good at looking like a cloud but had a wonderful heart and appreciated the importance of a little smackeral (that’s elevenses to non-Pooh aficionados)…here are some of their wise words that make life just a little bit better and that have a surprising affinity with solution focused hypnotherapy and neuroscience…tiddly pom! We live in a world where doing nothing is often seen as a waste of time, but scans have shown that when you are doing nothing and thinking about nothing in particular, as our furry friend of (self confessed) very little brain was fond of doing, your brain is at its most active. The resting brain is a busy brain! To cultivate an ability to get lost in doing nothing, or something of little impact, that allows your mind to wander, is one of the best things you can do to solve a problem. We are often told to be mindful, but try a little mindlessness for a change. One of the most important skills you’ll learn, if you see one of the Inspired To Change hypnotherapists, is to become aware of the small positives of your day, one of which being positive interaction. The reason for this is that these interactions create a flow of serotonin, which regulates our mood and helps us to be happy, motivated and confident. 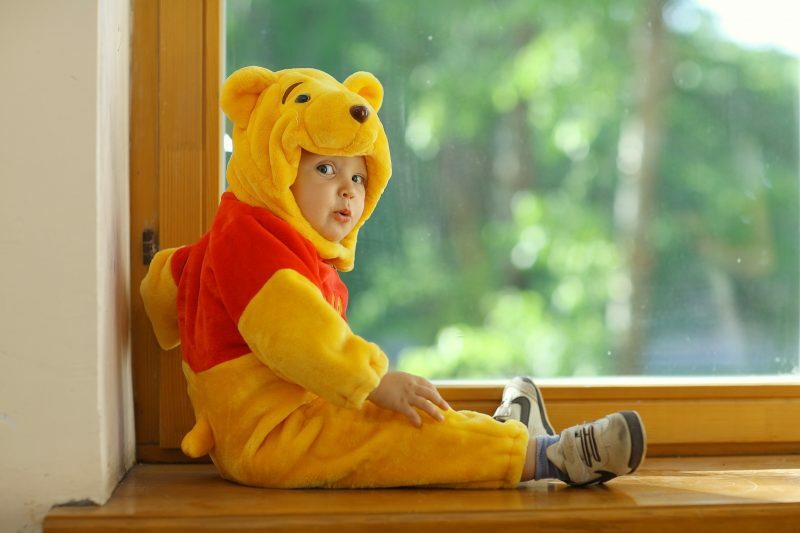 What Pooh reminds us is, in order to have those positive interactions, we cannot always rely on other people to supply them and we must take action to make it happen. But don’t worry, it doesn’t need to be anything huge – even a smile as someone passes you in the street, a friendly word in your local shop, sharing a funny cat video or a text to a friend will produce a little hit of serotonin. We live in a fast-paced world, one where 1 hour delivery from ordering online is a thing, instant messaging and where deadlines get shorter and shorter, so it is no wonder we think that everything has to be now. Pooh knew better. Alongside your own wise, intellectual brain, which understands that things can sometimes take time, is your primitive brain (one with even less brain than Pooh himself!). To your primitive brain everything is an emergency and everything has to be now, in order to avert disaster. The more you buy into this instant emergency feeling the worse it gets. So stop, remind yourself that, just like the river, you will get there. It could be a small piece of fluff or it could be they are just in trance, because, we go into trance every 6-8 minutes. Trance really is one of our most natural and normal states; consciously we’re on autopilot but subconsciously we are aware and busy doing stuff. Trance can be a hugely creative state and, because all change happens at the neurological level (it’s not you, it’s your subconscious that makes the changes), having a little daydream can be a good thing. So, next time you or someone you know seems to be a little bit elsewhere, don’t worry they will pop out of trance in a minute or two, failing that, do check their ears for fluff! *Unless of course you have a fear of balloons, in which case, check out our information about how hypnotherapy can help with phobias. Bigger, better, faster, more. We are always being sold a picture of more being better, but this can lead to a feeling of lack and not knowing how to celebrate and appreciate what you already have. In terms of the primitive brain that can feel like danger, which means you get stuck on a treadmill of always needing to have more and do more in order just to be OK, whilst never having time to capitalise on what you already have. Pooh on the other hand reminds you that pleasure and comfort can be found in even the smallest of things and that when you have gratitude for things that are already in your life you feel happy and safe. About the Author: Ali Hollands is a registered, award winning clinical hypnotherapist, working with you to eradicate anxiety and outperform your limits. She is best known for her work as a therapist, leading an enACT masterminding group for small business owners and speaking about how the brain works and how to make it work better.